A Solihull Liberal Democrat has become the fourth councillor to defect to the Green Party in disapproval at the party’s performance in the Coalition Government. 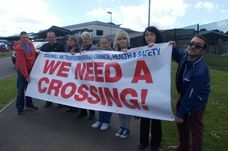 THE DECISION to cut library opening hours over lunchtimes will stand after a challenge by opposition councillors failed. NEWLY-elected Green Party councillor Chris Williams took the Chelmsley Wood ward by storm, polling more than twice as many votes as Labour. THE Conservatives have retained control of Solihull Council but it was the smaller parties who had most to smile about in the borough after the local elections. HIGH-speed rail opponents have ridiculed the idea that ancient woodlands, standing in the way of the route, could be “transplanted” elsewhere. SOLIHULL’S motto may be urbs in rure but the emphasis was very definitely on the rure when the Green Party launched their national mannifesto for the local elections in the borough. SOLIHULL Green Party have been accused of playing political games after announcing they would not contest seats in three council wards at next month’s local elections. Former Liberal Democrat turned Green councillor for Shirley West, Howard Allen, will be the only member of his party standing for election in the Shirley area, he says this is in order to hold the Conservatives to account over Parkgate. 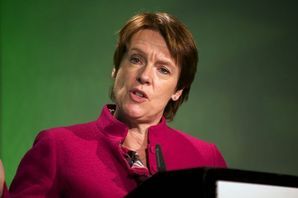 MUCH more must be done to make public transport a viable alternative, Green Party leader Caroline Lucas has said. THE first commercial flight in the UK to be fuelled by chip-pan oil took off from Birmingham Airport last week. I ASKED in these letter pages for more detail on what is happening with Parkgate. SOLIHULL Hospital’s “Executive Director” Claire Molloy is being disingenuous when she says that there are “no concrete plans for change at the moment” (Solihull News), and must think that we, the users of the facilities at Solihull, are blind and deaf to what is going on. PARKGATE - the scheme to transform Shirley town centre - has finally been given the go-ahead. MERIDEN could be the site of a new incinerator - just months after earlier plans were scrapped to build a replacement at the waste to energy plant at Whitley in Coventry. GREEN Party councillors are taking legal advice after claiming they’ve been “shut out” of key council committees. THESE have been trying times for Solihull’s Liberal Democrats. “DELIGHTED!” That’s the message from Solihull’s Green Party as – in a surprise announcement – Shirley West Councillor, Howard Allen confirmed he had defected to the group, bringing its tally of Green’s on Solihull Council to four. I DON’T think anyone quite imagined the scale of the Conservatives’ victory in the local elections last Thursday.